Combine all ingredients in the food processor & blend until smooth. Scrape down the sides occasionally, as needed. 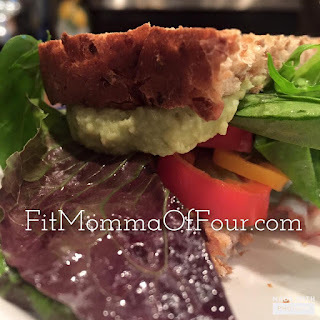 I spread mine on a slice of toasted sprouted grain bread & added bell pepper rings & mixed greens for some crunch. YUM! This may be my new favorite lunch.